The Spice Chef has taken special attention to the quality of the Exotic Spices he provides. He takes time to collect the best spices for you, so if any item is not in stock The Spice Chef will do the hunting for you. 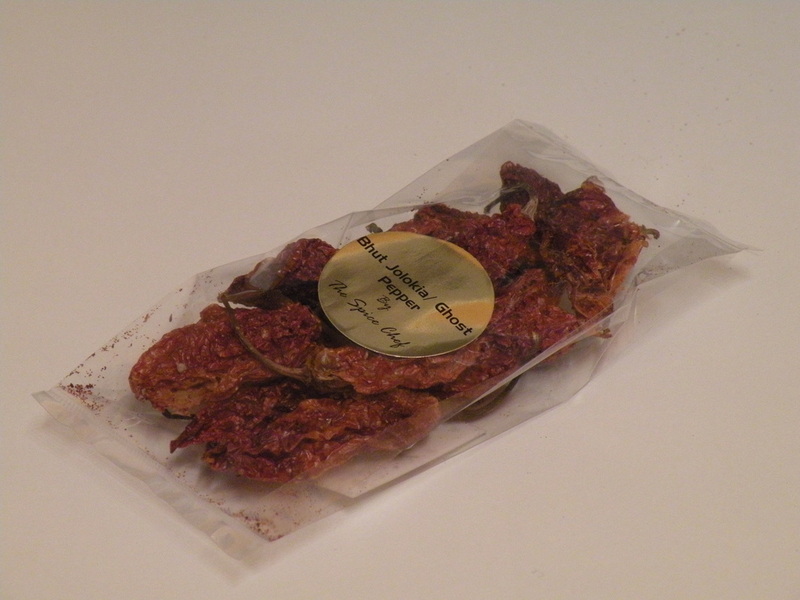 Also known as ghost chilli or ghost pepper. 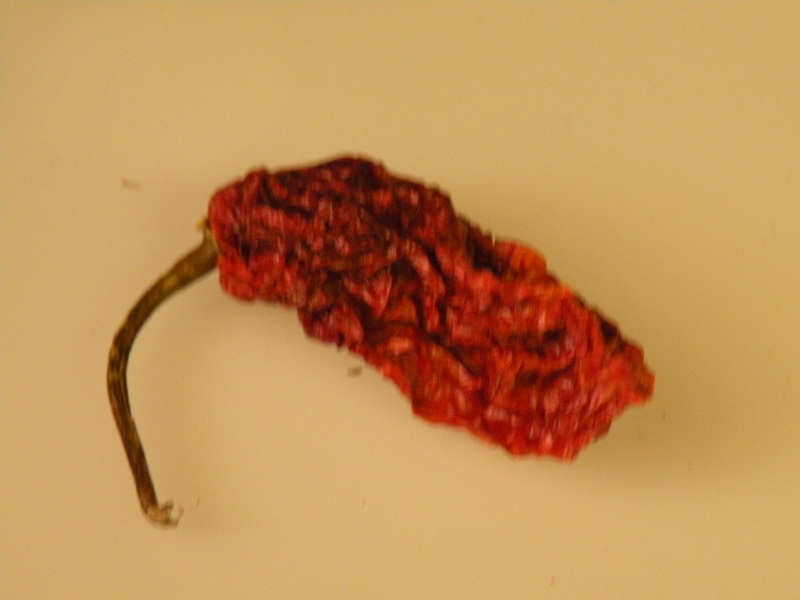 This Guinness World Records as the hottest pepper in the world. *this can be only bought directly from the spice chef . 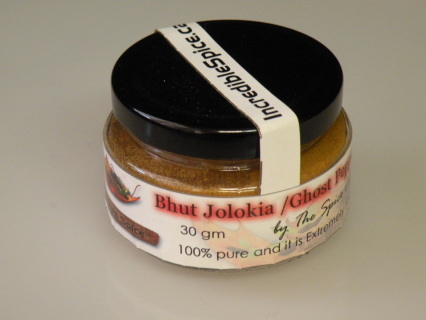 A specially crafted chilli blend which includes three types of chilli and turmeric powder. this will give a nice colour and flavour with less heat. Just add into your recipe instead of the chilli powder. One of the worlds most expensive spice. Cardamom the Queen of all spices has a history as old as human race. Cardamom seeds can be chewed as a kind of breath freshener.It is used in curry powder, rice, meat, and dessert dishes. 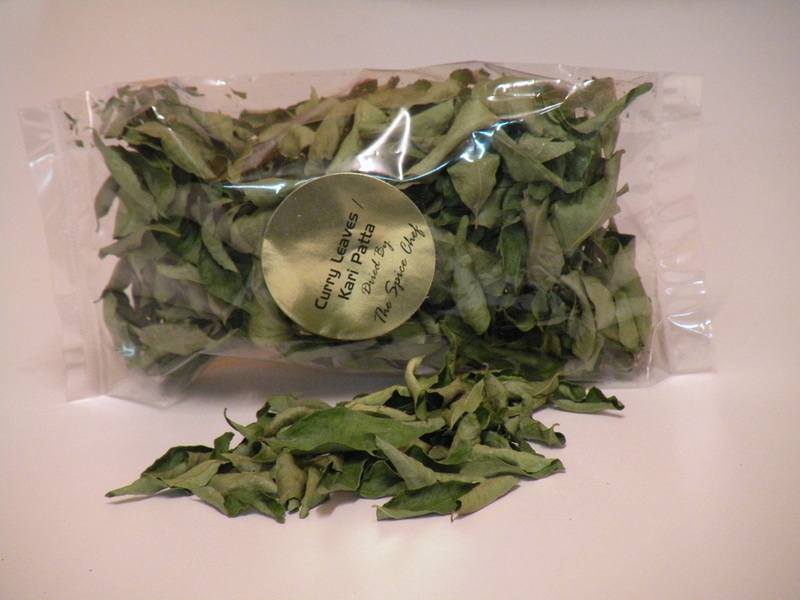 Curry leaves should not to be confused with curry powder, which is a blend of many spices. Used in the cuisine of Southern India and Sri Lanka. Curry leaves are used as an herb, much like bay leaves, however the leaves are softer and need not be removed before serving. They are dried by Spice Chef at low temperature to maintain the greenness and its unique aroma. Curry leaves are usually best if you can get them fresh, but these are very difficult to source, so this may be the only alternative. Malabar the land of spice, provides the best of black pepper in the world. This black gold need now explanation. King of spice. Black pepper is native to Malabar, a region in the Western Coast of South India; part of the union state Kerala. MOGRA (top grade- red stigmas only), not Certified Organic.